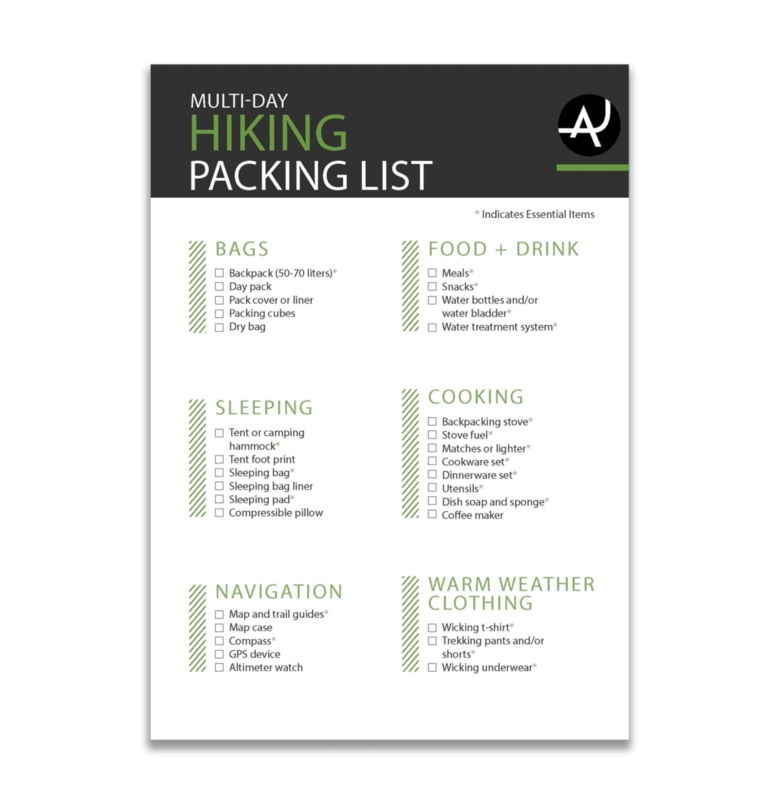 You want to be able to cover a lot of ground on your hiking and backpacking trips. But after a few miles, you feel it in your knees. The best hiking poles can give you the support you need to finish your hike pain-free. When you use hiking poles, you improve your stability and lessen the impact of each step. Hiking poles give you extra support and redistribute the weight you carry. The less force on your knees, the longer you can you stay out on the trail and enjoy your hike. How do you know which hiking poles are right for you? 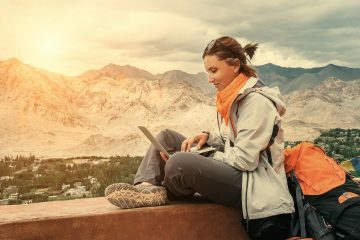 In this article, we’ll look at several models and help you find which ones are equipped with the features that work best for your hiking needs. If you read our article on how to use trekking poles, you know they work like an extendable arm to keep you balanced. You may start your hike on flat terrain, climb a mountain, and then move down a rocky slope. Adjustable hiking poles can help you compensate for these terrain changes. 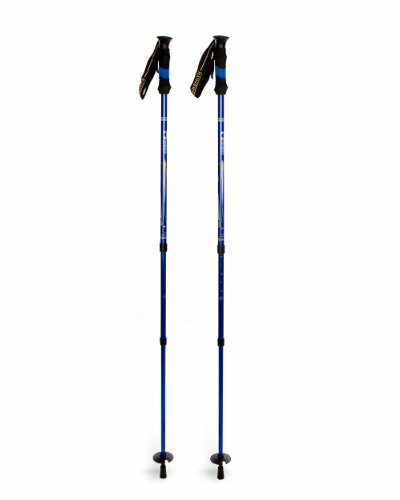 As you move uphill, you can shorten adjustable poles accordingly. After you reach the peak, you can lengthen them to accommodate the change in slope. 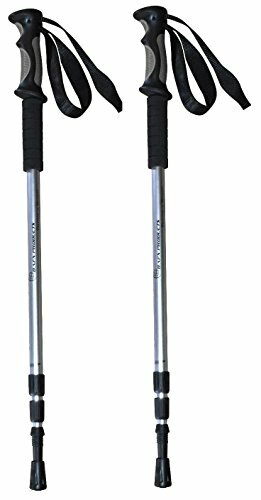 Hiking poles that are not adjustable must be sized properly at the time of purchase. These poles work best if your hikes happen on flat terrain. The shaft material of your hiking pole affects its weight and durability. 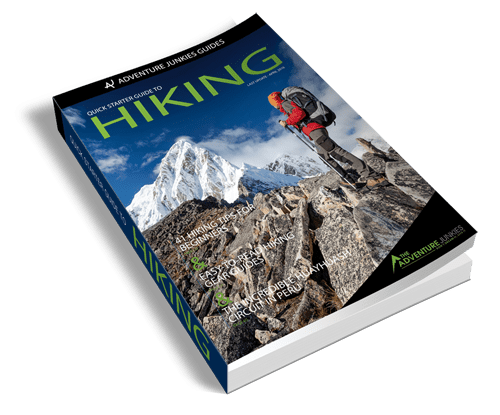 The hiking poles included in this guide have shafts made with aluminum or carbon fiber. What’s the difference between these two options? Aluminum hiking poles are a little heavier. However, they’re also more durable and affordable. 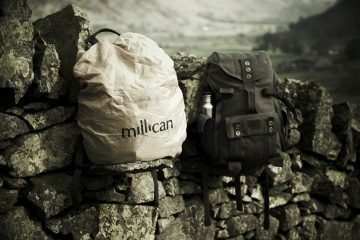 This material is a great option if you’re on a budget or will encounter rough terrain. 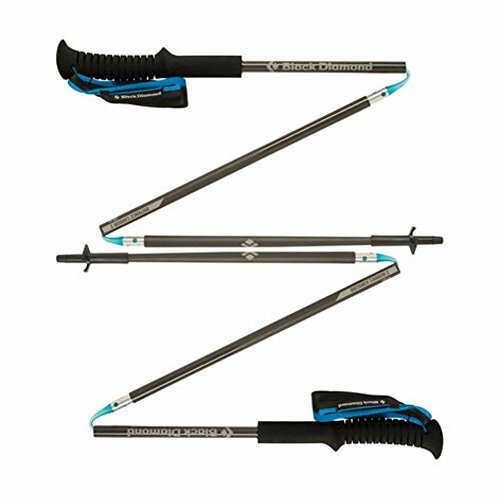 Carbon fiber hiking poles are the lightest option on the market. They tend to be more expensive, but are also less durable than aluminum. If weight is your biggest concern, these could be the best hiking pole choice for you. When you use hiking poles, they should function as a seamless support for each step you take. For this reason, the point where your body connects to the poles – the grip – is important. There are three materials – cork, foam, and rubber – frequently used as hiking pole grips. You want to select a grip material you’ll feel comfortable holding for many hours. Cork will conform to your grip over time. The material absorbs some water. This can keep it from becoming uncomfortable on warm-weather outings. Foam is a great choice for hiking in hot weather. It wicks away water, keeping your hands dry while you hike. It’s the lightest grip material, but it’s also the least durable. Rubber is water-resistant. It also insulates well against the cold, making it a good fit for cold-weather hikes. Its water-resistance makes it a poor fit for summer hiking. All that water collects on the handles and can rub against your skin resulting in blisters. 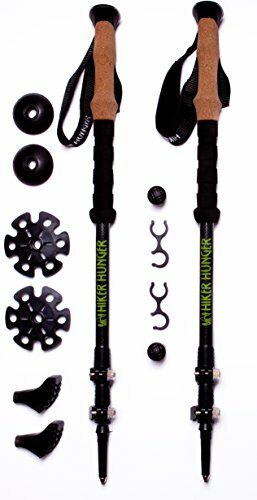 Some hiking poles have springs that can help your body absorb shock as you hike. 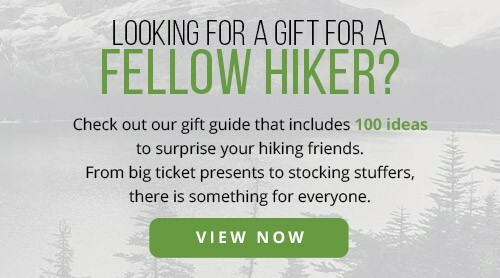 Some hikers love this feature; others find the spring tension a hindrance. 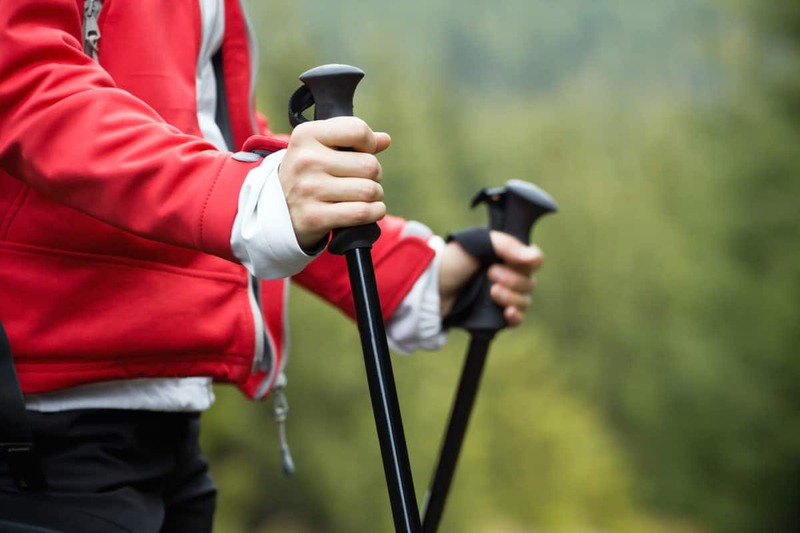 If you suffer from knee pain or other injuries, you may like hiking poles with this feature. 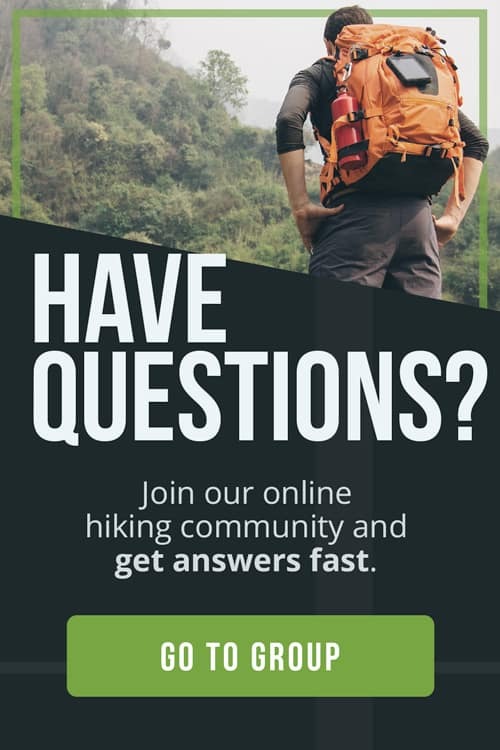 Looking for more ways to reduce pain while hiking? Read our article on dealing with knee pain while hiking.